Public vote outright winner was AHR (Entry F) which scored over 70% of the public votes giving them the award of the ‘Peoples Favourite’. 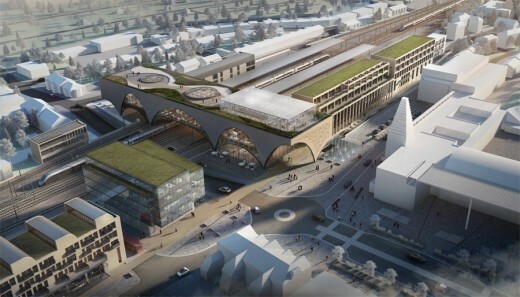 1st of March 2016 – The Oxford Station consortium is pleased to announce the winners of the architectural ideas competition which took place before Christmas for a concept design for the new station, and the associated development of the adjoining land in the west end of Oxford City Centre. 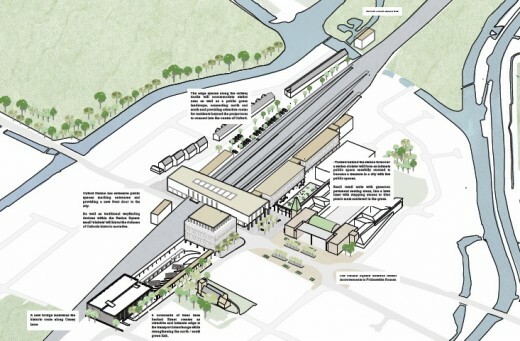 Oxford’s existing station will not support planned economic growth longer term and the area fails to provide a sense of welcome to a world class University City, rich in heritage and with a dynamic 21st century economy based on innovation and research. 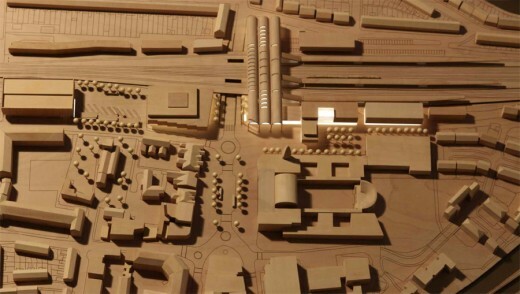 Following the completion of a masterplan for the station area, six high-profile architects were shortlisted to produce ideas for what a new rail station development could look like and how it could link to the recently completed Frideswide Square. 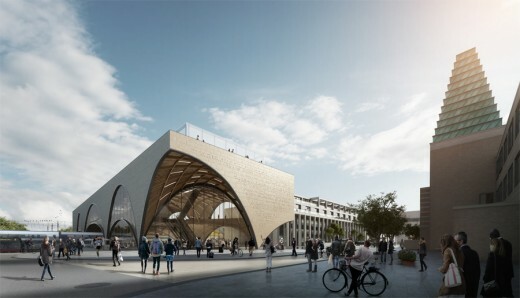 The competition, which was managed by the Royal Institute of British Architects on behalf of the consortium, attracted ideas from top firms of award winning architects. The six firms were: John McAslan Architects (Entry A); Wilkinson Eyre (Entry B); Allies & Morrison (Entry C); AHMM (Entry D); Rick Mather Architects (Entry E) and AHR (Entry F). A judging panel from Network Rail, Oxford City Council and Oxfordshire County Council along with Department for Transport and Great Western Railway, awarded the three winning places to Wilkinson Eyre; Allies & Morrison and AHR. The panel was advised by architect Joanna Van Heyningen of Van Heyningen + Hayward. 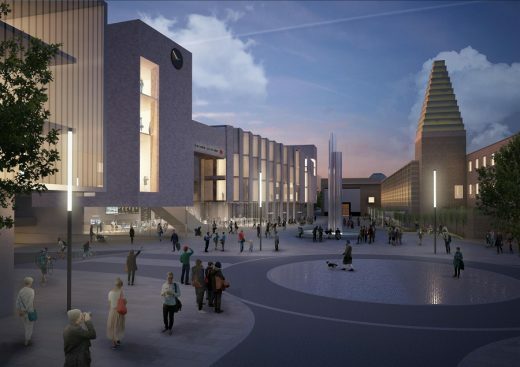 The judges thought that Wilkinson Eyre’s entry was appealing due to its single roof concept, and the way in which the design of the car-park and bus interchange supported an improved character for the whole area and improved its commercial potential. Allies and Morrison’s entry was admired by the judges because of its simplicity of approach and very attractive main station building. AHR’s entry was selected because the station design was original and impressive. The judges also liked the idea of a restaurant on the roof of the station itself. 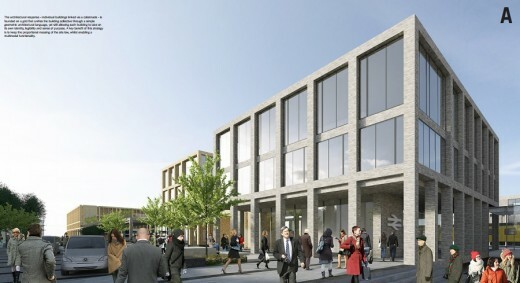 “Oxford deserves a new rail station and the station area is a key element in our regeneration of the West End, alongside Oxpens and the Island site where the Council is working with Nuffield College to create an overall masterplan. 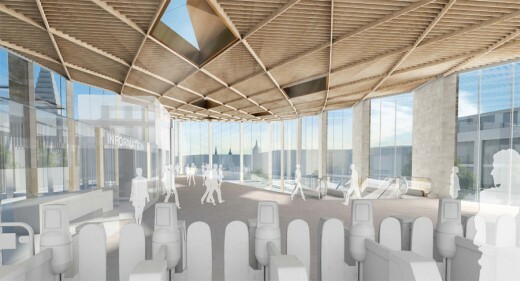 The selected designs for the new station are exciting and reflect a genuine 21st century style of architecture”. 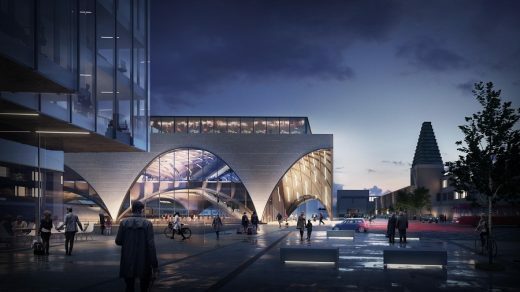 Six internationally-renowned architects have developed design concepts for a future world-class rail and transport interchange at Oxford. The competition is the start of a design process with the aim of creating architectural ideas for an ambitious landmark building. 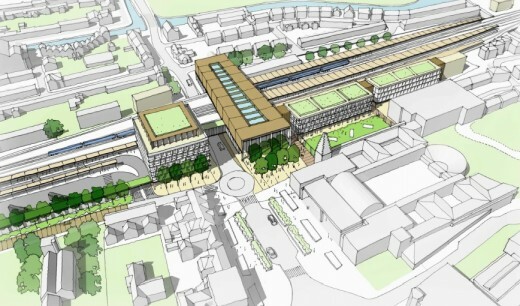 The competition follows on from the Oxford Station Masterplan which originally outlined the layout, functions and scale required for a future gateway station at Oxford. The six competition designs are ideas to help inspire how a future rail and transport interchange could look. This is a very early stage of the design process and these ideas may not be designs that are built but the aim is to visualise what could be possible.